You might think you know Liverpool. You might have experienced our warm welcome first hand, cheered on one of our football teams or tucked into a bowl of Scouse. Dig a little deeper and you'll find that there's more to this waterfront city that meets the eye. Check out these five Liverpool Tours: you may just learn something new about the 'Pool. 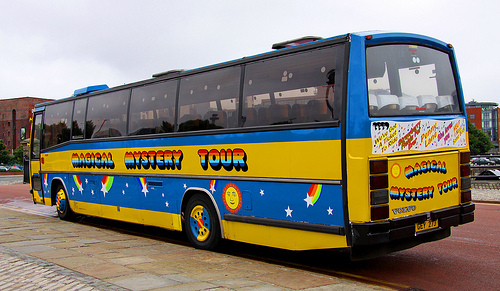 Possibly the most iconic of Liverpool tours, the Magical Mystery Tour invites you to step aboard for a unique exploration of Beatles Liverpool. Departing from the city's beautiful Albert Dock, the tour includes famous locations such as the group's childhood homes, St Peter's Church Hall (site of Eleanor Rigby's grave), former schools including the Art College and LIPA, Penny Lane and Strawberry Field. Scheduled stops allow you to hop off the bus for photo opportunities at some of Liverpool's most famous Beatles landmarks. After a fun and fascinating two hours with an expert guide, the tour ends at the legendary Cavern Club, where you can enjoy free general admission during the evening of your tour. When: Daily Departures - 10.30am, 1.00pm, 2.00pm. Additional tours during peak season. No tours on Christmas Day, Boxing Day or New Years Day. The Liverpool City Explorer Tour is a quick, convenient and, some might say, cold way to see some of Liverpool's most notable landmarks. Like the Magical Mystery Tour, the route starts at the Albert Dock, although you are welcome to board at any of the 12 stops around the city. 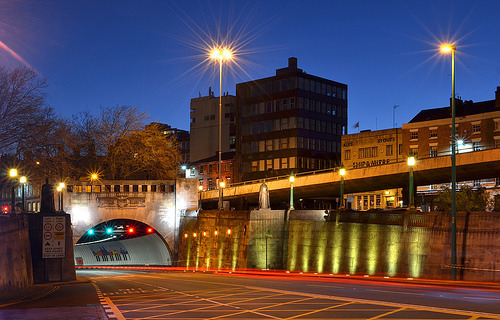 During the tour, you'll see attractions such as the Pier Head, the Chinese Arch, the Cavern Quarter, the Catholic and Anglican Cathedrals, St Luke's Bombed Church, the World Museum and the Walker Art Gallery. Hop off the bus to explore whenever the mood strikes, and when you're ready, simply hop back on again to be transported to your next destination. The tour guide will help you decide which parts of the city are of most interest to you. Liverpool is well known for its iconic attractions, but sometime it pays to look a little deeper to see what's really going on. The Mersey Tunnel Tour offers you a unique opportunity to discover the workings of Liverpool's Queensway Tunnel, the tunnel that runs under the River Mersey from Liverpool to Birkenhead. Highlights of the tour include a chance to see the control room, the emergency escape refuge, and the giant ventilation fans. Each tour takes you beneath the city for two to three hours. There are numerous steps, so make sure you're up to the challenge, and remember to wear suitable clothing: the tunnel won't offer as warm a welcome as the people of Liverpool. 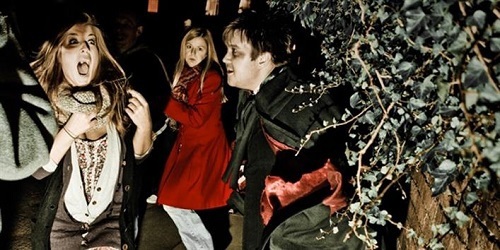 It doesn't have to be Halloween to enjoy one of Shiverpool's Ghost Tours. All you need to do is decide which of the toe-curling tours is the right fit for you. Hope Street Shivers, the original tour, takes you on a grisly adventure through Liverpool, enthralling you with tales of Liverpool's famous ghosts and frightful history, before terminating at the City's Gothic Anglican Cathedral. If you're not up for a walk, the Shiverpool Ghost Bus Tour might be more to your taste. Other options include the Auld City Shivers, the Full Moon Tour and the free Hidden Histories day time tours: Hidden Histories of Hope Street and the Seven Original Streets. Expect to be enthralled and terrified in equal measures by these tours: an effortless blend of street theater and storytelling that delivers an experience that might just haunt you for eternity. 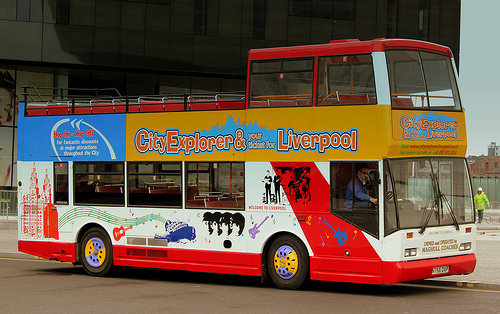 Brand new in 2014, Seecret tours have taken Liverpool by storm. 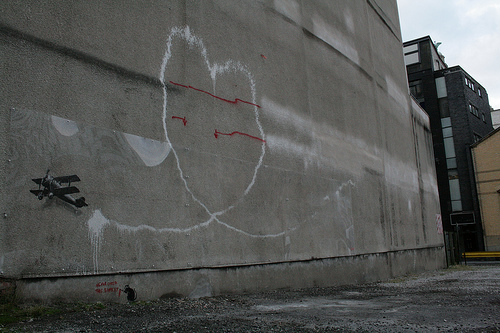 Each 2.5 hour walking tour, expertly guided by a born and bred Scouser, offers a unique insight into Liverpool's fascinating street art, alternative sights and hidden attractions. Discover secret alleyways and tunnels, little known shopping destinations and the city's groundbreaking art installations: the kind of things that you'd struggle to find in a traditional guide book. If you're up for the challenge, your tour can even include a hilarious 'Learn Yerself Scouse' guide. Because everyone should learn how to use the phrase 'know what I mean?'. Perhaps the best bit of these tours is that a portion of every tip left by guests is donated to a local homeless charity. Nice work Seecret. These Liverpool tours are perfect for a little weekend entertainment. Why not try one this weekend? Even better, try them all. If you enjoyed this article, show it some love by clicking the like button below. If you really enjoyed it, subscribe to Linda Forshaw to have articles like this delivered straight to your inbox.